All the fussing is over. 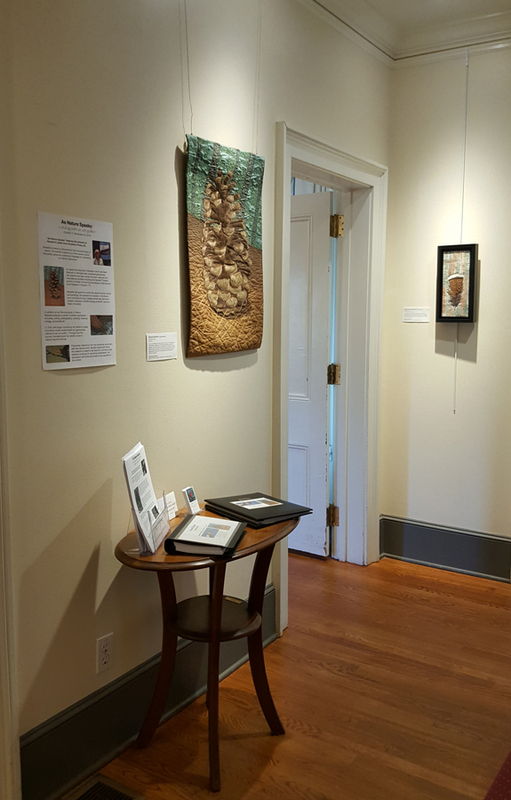 I finally realized this milestone in my career: a solo show in an art gallery! There were times over the summer when I didn’t think I would be able to create enough art to fill this big gallery space. I knew I couldn’t give up, so I just kept working. When I pulled everything together, I had 27 pieces of art to hang. What a relief, especially considering that this past month we had to deal with 2 hurricanes in as many months. Its all good. I’m please with how everything looks. 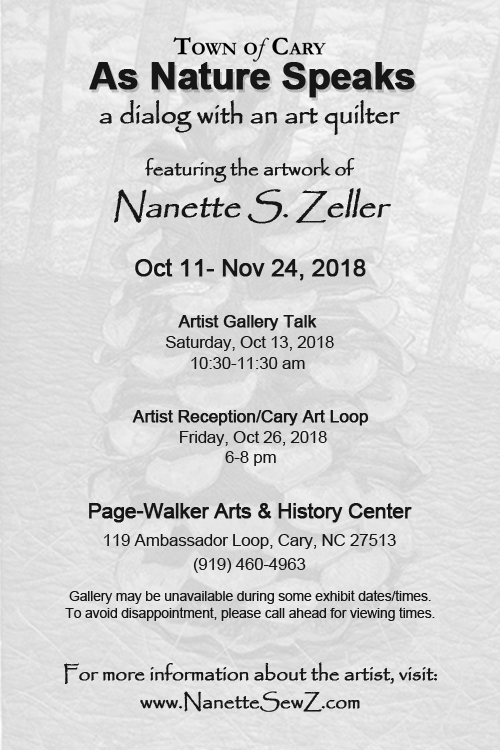 If you happen to be near Raleigh, I hope you get a chance to visit my exhibit at Page-Walker in Cary, NC. 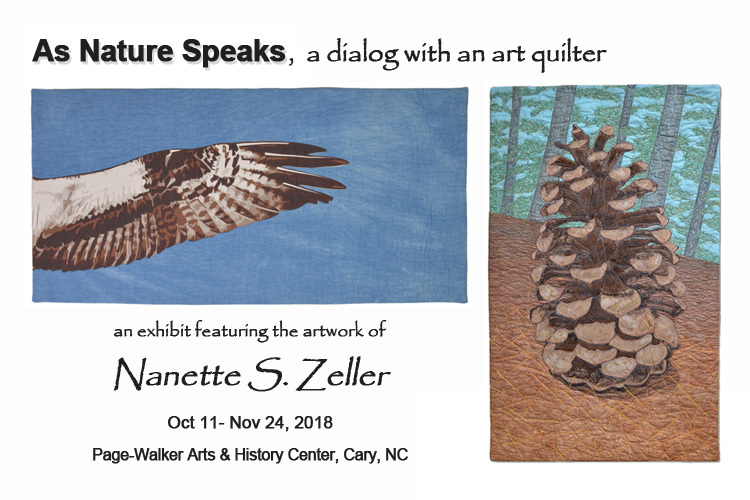 My artwork will be on display through November 24. Congrats!! I knew all along this validation would come your way!! Congratulations on this beautiful exhibit. I know seeing the exhibit and hearing your talk were enjoyable to your audience. What a rewarding experience for you after the difficulties of all that hurricane weather! Good wishes for more creativity after this major event! Thanks Martha! The hurricanes did not stop me. So thankful for that!